Judy Garland in a MerseyBeat Band? 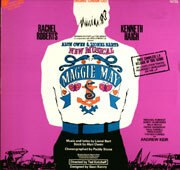 It has been said that many people have long regarded 'Maggie May' as Lionel Bart's best work. The musical set in Liverpool which was previewed at the Palace Theatre Manchesterand opened in the West End at the Adelphi Theatre on 22 September 1964, took place in the year that the Beatles conquered America. The music and lyrics were by Lionel Bart, the book by Alun Owen, choreography was by Paddy Stone, stage design by Sean Kenny and the director was Ted Kotcheff. 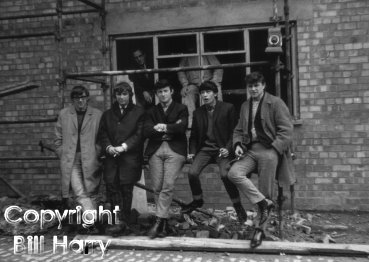 I was still publishing Mersey Beat at the time and Alun, who had penned the screenplay to the Beatles 'A Hard Day's Night', was to tell me all about the musical on one of our regular nights out at the Blue Angel Club in July 1964. He said that he began writing it two and a half years previously, commenting, "But I've been writing it on-and-off. During that time I've also written four television plays, two film scripts and a play." He also told me, "It's a completely fictitious story all about contemporary Liverpool and a lot of the music has been based on old Liverpooland Irish folksongs." "There is a beat club scene in the show, with a group who perform two beat numbers - they are going to augment the orchestra." As you know, the Blue Angel Club in Seel Street was the haunt of the Beatles, Brian Epstein, Gerry & the Pacemakers and writers, TV producers and A&R men from around the world. Alun liked to visit the Blue regularly from his home in Cardigan,Wales because he had an ear for dialogue and felt that he derived lots of his humour from the conversations of Scousers. In fact,Virginia told him of a chap who was trying to chat up a girl and she turned on him and said, Who knitted your face and dropped a stitch?" and he used it in the musical. The musical opened with a trial run at the Palace Theatre, Manchester and there was an after-show party at the Blue Angel. One of the guests was Judy Garland and I was chatting with her as she played the one-armed bandit and she told me she felt like singing and asked if I could arrange for someone to play the piano for her; there was a grand piano on the ground floor. Although the club was full of musicians, I couldn't find anyone willing to play, so we missed the chance of a free performance from the legendary singer. Judy had been a fan of Lionel and she agreed to record four numbers from the show. They were her last studio recordings for records and the tracks were: 'Maggie, Maggie May', 'There's Only One Union', 'The Land Of Promises' and 'It's Yourself.' They were issued on the EP 'Judy Garland Sings Maggie May' on Capitol/EMI CL-14791 in September 1964. 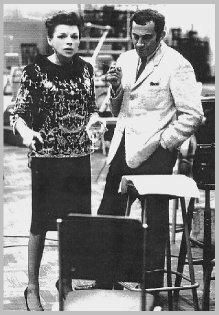 The tracks were never released inAmerica at the time but were eventually included on a CD compilation 'Classic Judy Garland - The Capitol Years: 1955-1965' in 2002. The musical then opened at the Adelphi Theatre inLondon's West Endon 22 September 1964 and there were 501 performances. Georgia Brown, the leading lady from Bart's 'Oliver' musical, turned down the part of the prostitute Mary May Duffy and Welsh actress Rachel Roberts, who was married toLiverpool actor Rex Harrison, took on the role. Roberts left the production prematurely and was replaced by Brown, who'd changed her mind. Incidentally, the yet unknown Barry Humphries opened the show as a one-man-band singing 'The Ballad of the Liver Bird', but he left during the run. The musical was set in the early sixties, although the prologue, 'Ballad of the Liver Bird' was set 20 years earlier when Margaret May Duffy and Patrick Casey as children are taking part in a Holy Week passion play. 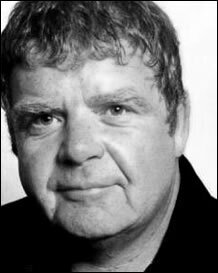 By the end of the sequence,Pat's union leader father Joe Casey is dead, a martyr to the dock worker's cause. Two decades later, Margaret is known to all as Maggie May, the local prostitute who calls all her clients Casey as she waits for her childhood sweetheart. When he comes home from the sea, Pat Casey is reluctant to take up where his father left off, although the local dock workers expect him to. Casey finds himself unable to avoid leading a strike. Near the end, Maggie and Casey at last commit to each other but, during a final act of defiance by the Dockers, Casey is killed. Some people regarded it as a contemporary retelling of the Christ story with Maggie May as Mary Magdelene and Casey as the carpenter. The soundtrack was issued on TER 1046 and the singers were: Billy Boyle, Fred Evans, Paul Farrell, Michael Forrest, Kenneth Haigh, Barry Humphries, Andrew Keir, The Nocturnes, Diana Quiseekay and Rachel Roberts. We Don't All Wear D'same Size Boots. Finale/The Ballad of the Liverbird (Reprise). Although film rights were acquired by United Artists for a quarter of a million pounds and Peter Sellers had agreed to star in the movie, the film was never made.